- New products realize direct replacement from current SDIP6(F type) package products. TOKYO--(BUSINESS WIRE)--Toshiba Corporation's (TOKYO:6502) Storage & Electronic Devices Solutions Company is expanding its line-up of SO6L IC photocouplers with a new package type SO6L(LF4), the wide leadform option. 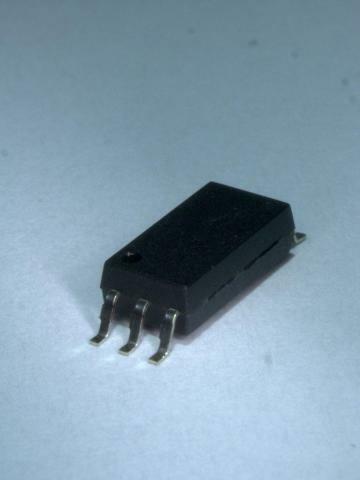 The wide leadform option is available for three high-speed IC photocouplers and five IGBT/MOSFET driver photocouplers. Mass production shipments start today. The new photocouplers are in a SO6L(LF4) package and can be mounted on land patterns of SDIP6(F type) products with a maximum height of 4.15mm. The SO6L(LF4)’s 2.3mm (max) thin package offers users the advantage of directly replacing SDIP6(F type) products in height-critical applications that require lower package height, such as a back of PCBs. To support replacement of widely used original land pattern of SDIP6(F type) package products, Toshiba will expand the wide leadform option line-up for other SO6L IC photocouplers. Toshiba expands its line-up of SO6L IC photocouplers with a new package type SO6L(LF4), the wide leadform option that can be mounted on land patterns of current SDIP6(F type) photocouplers.